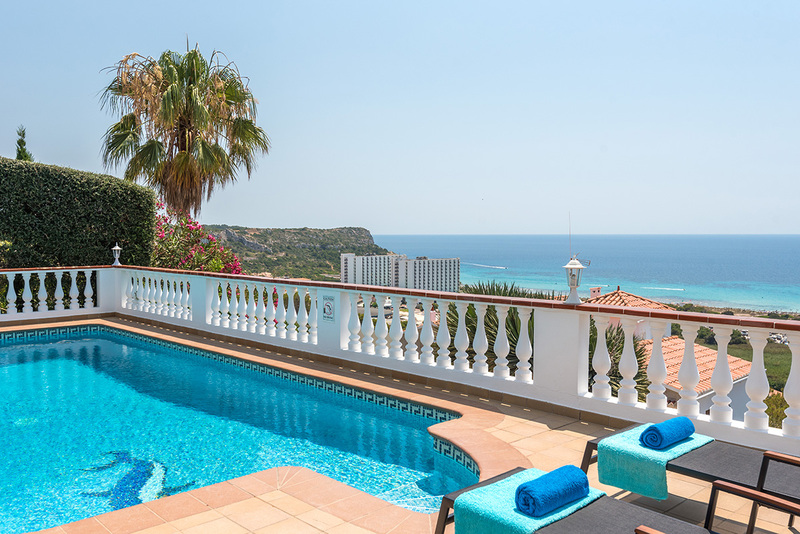 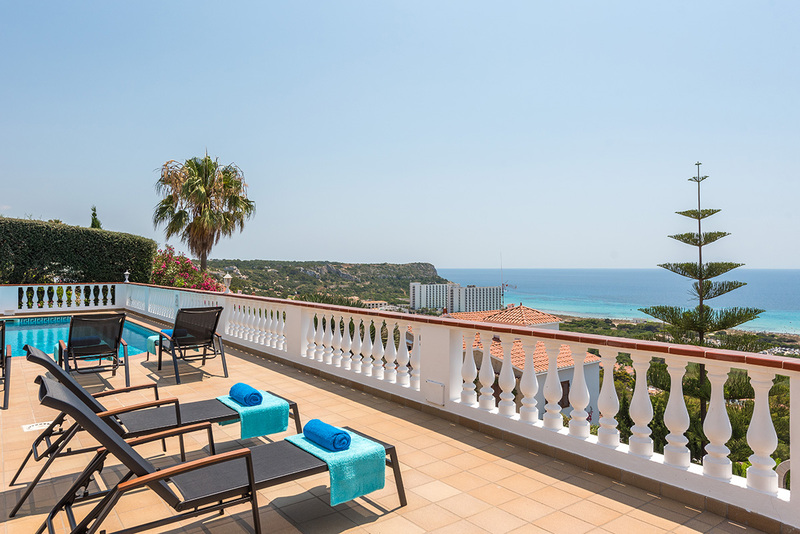 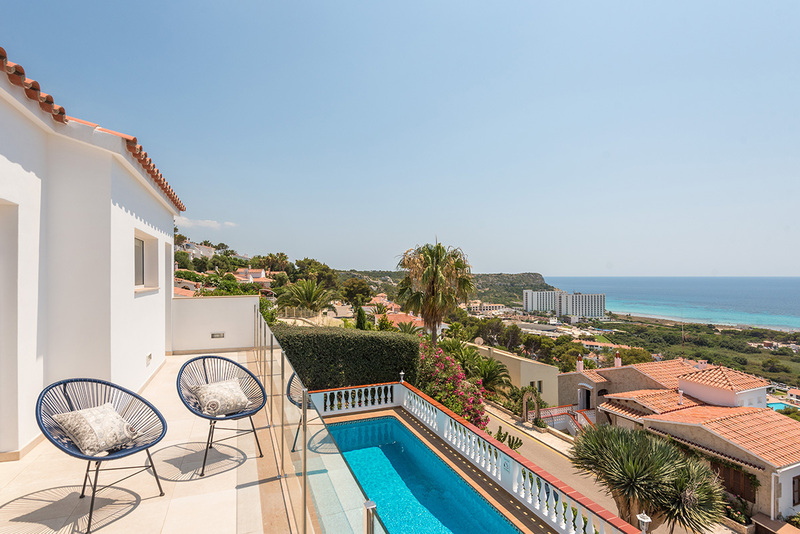 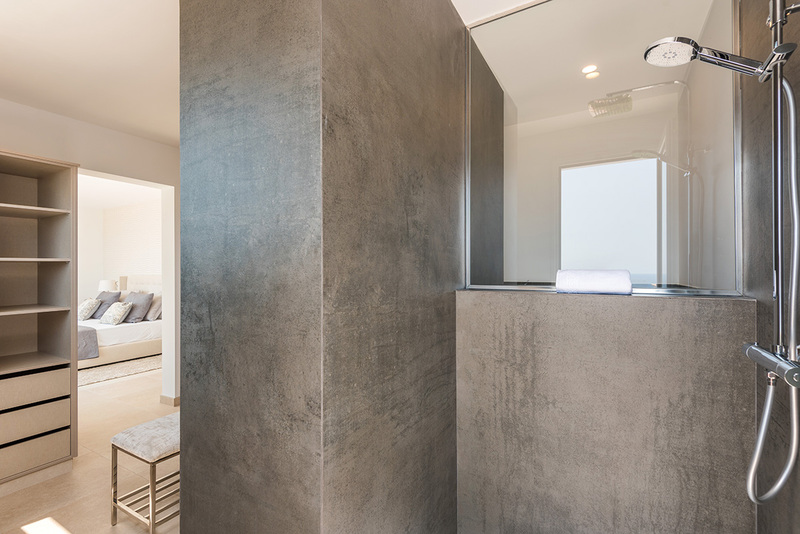 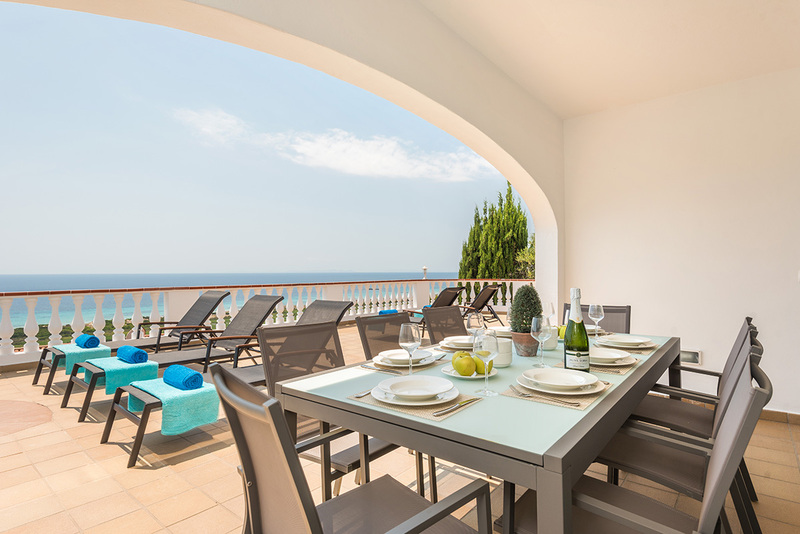 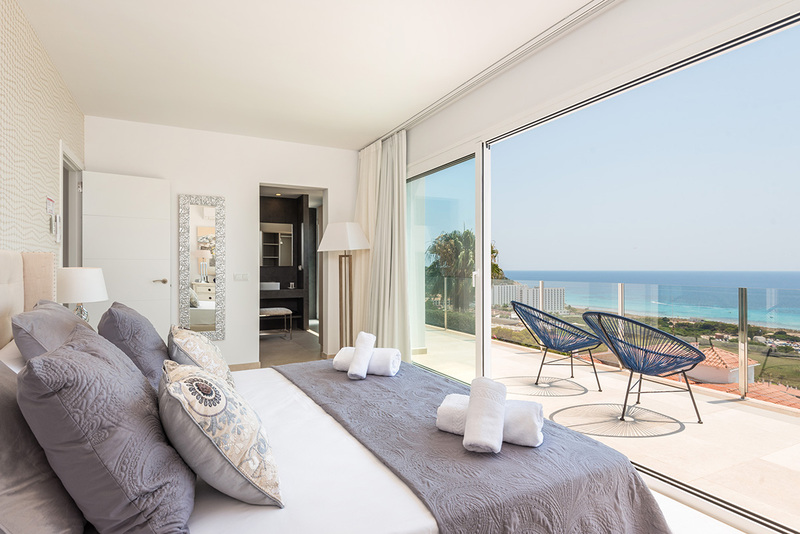 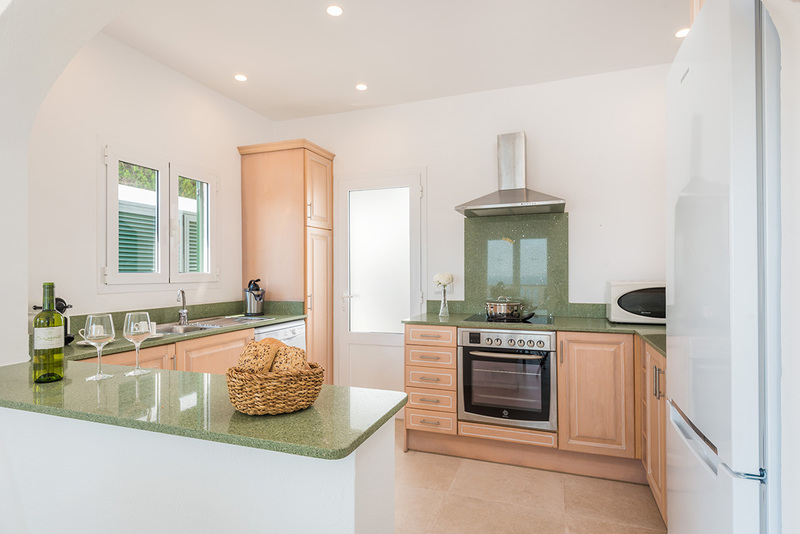 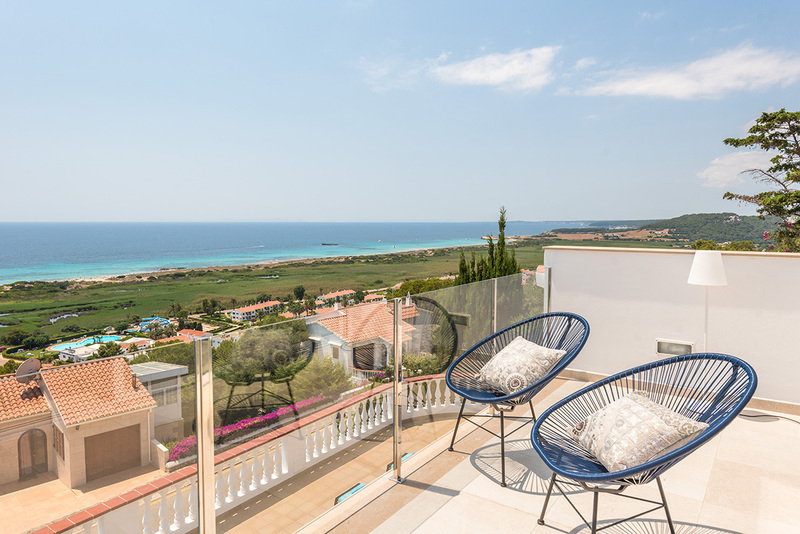 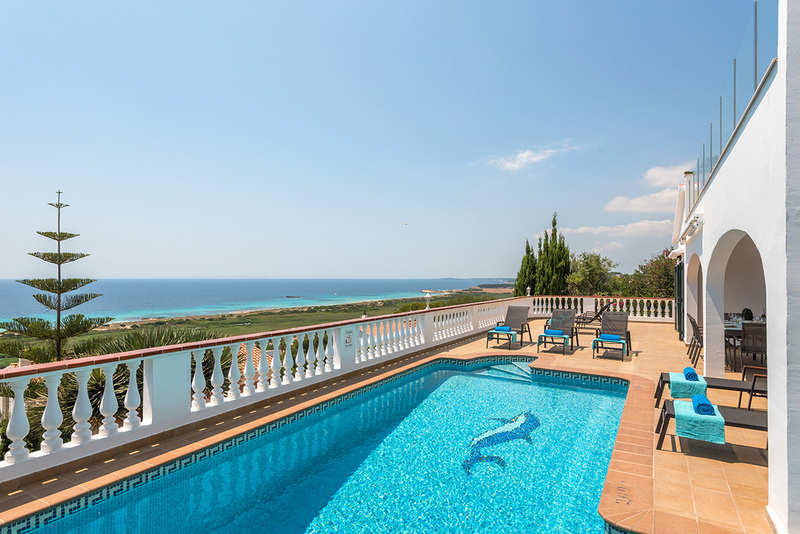 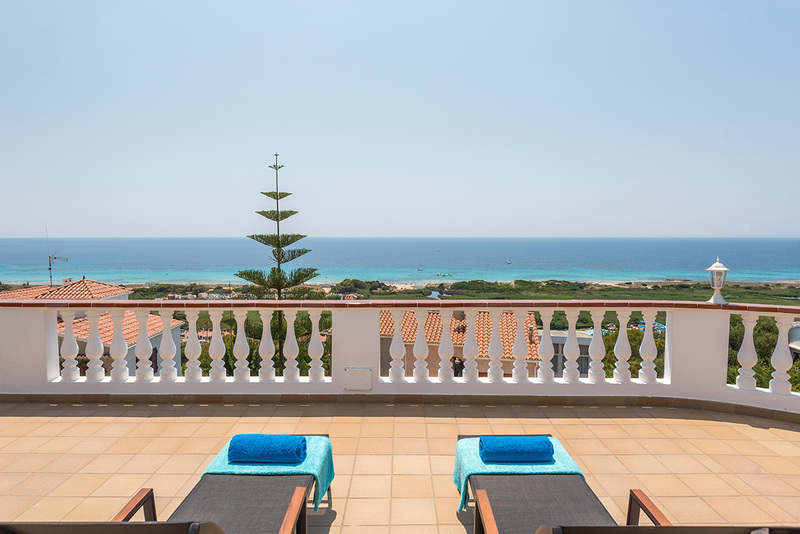 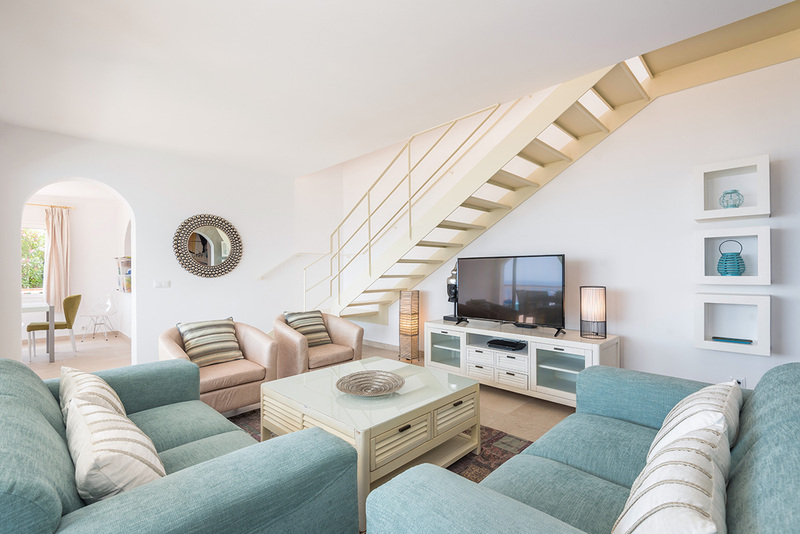 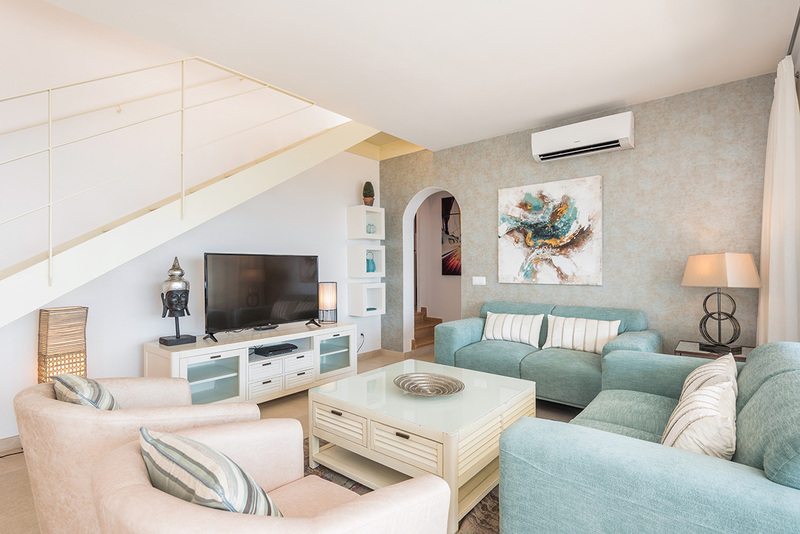 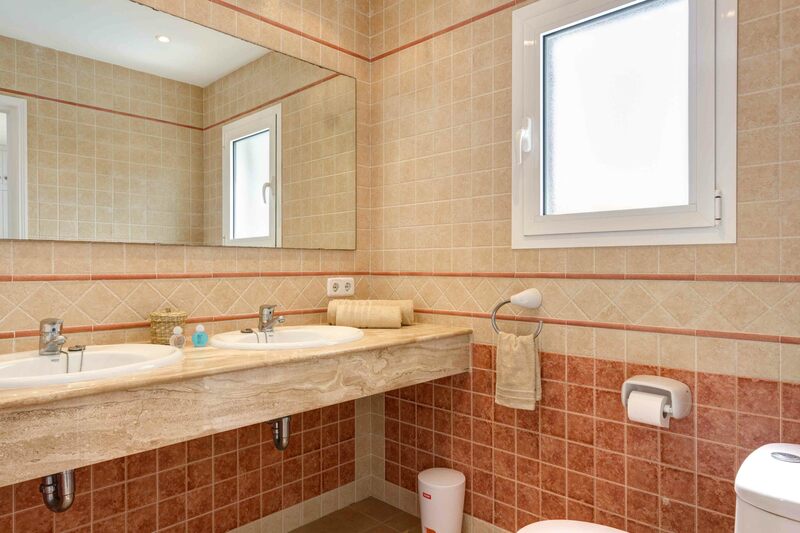 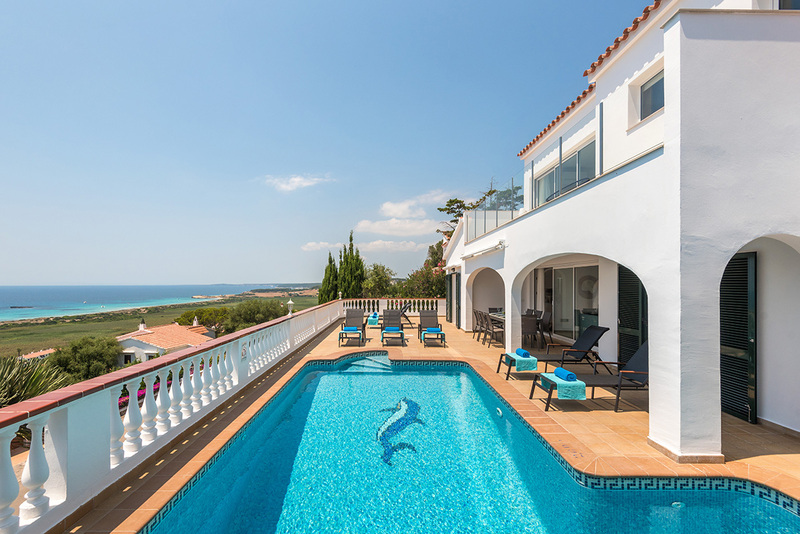 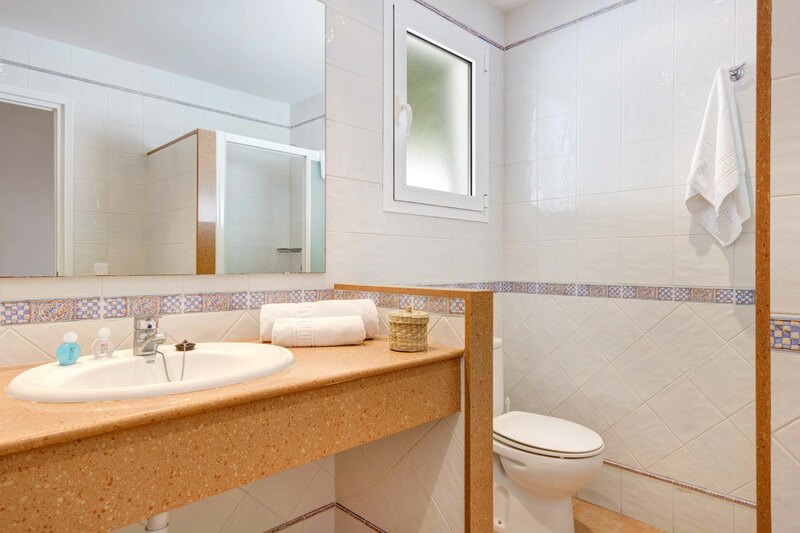 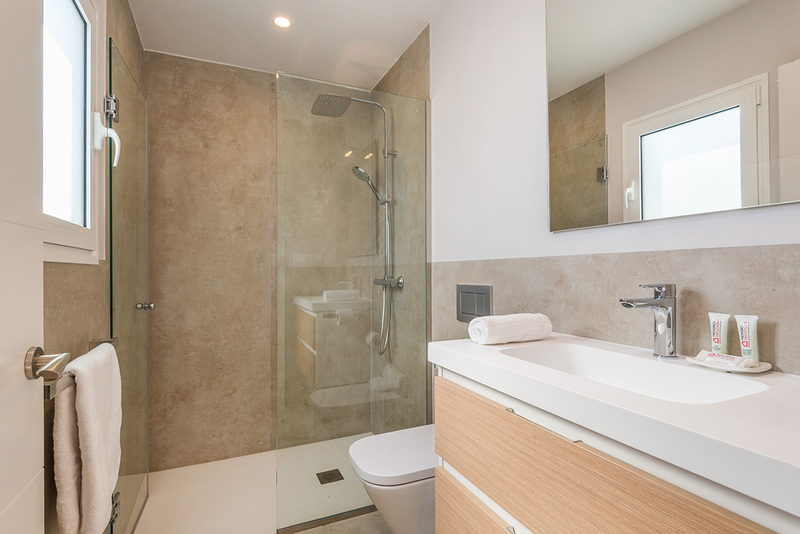 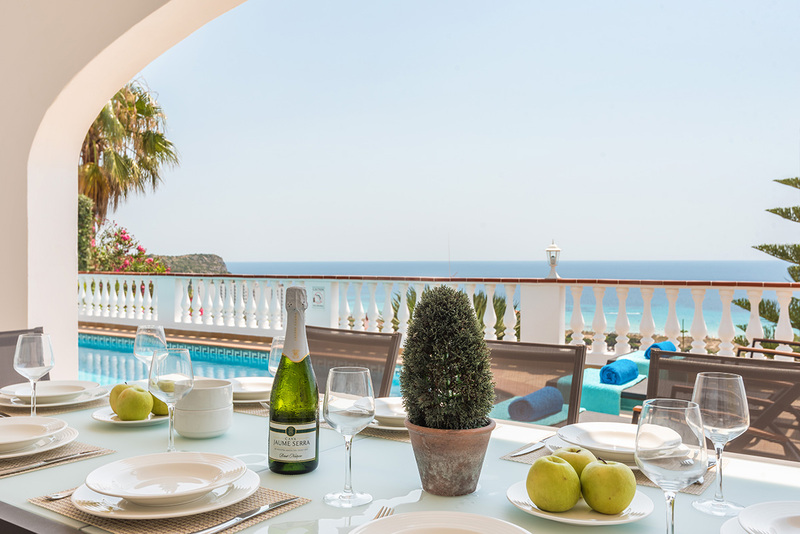 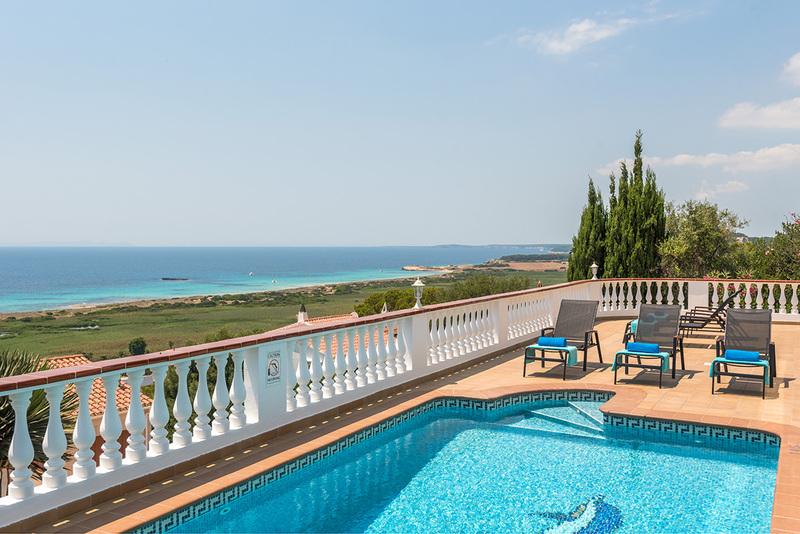 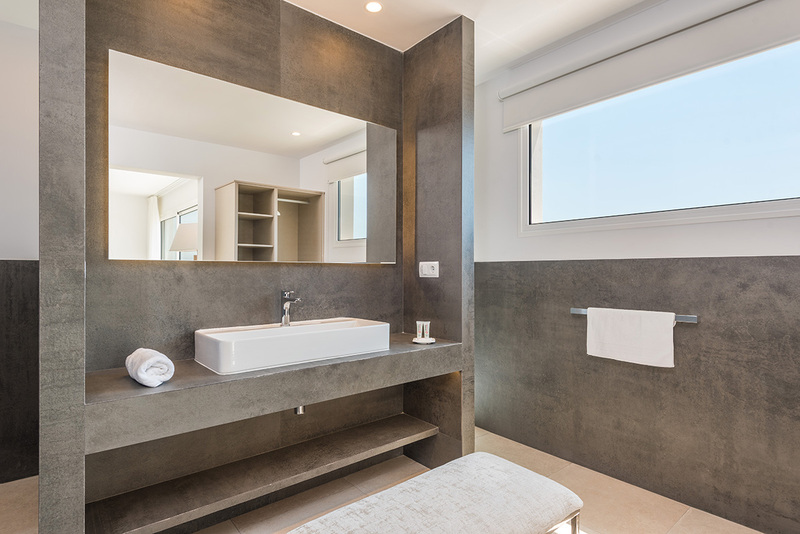 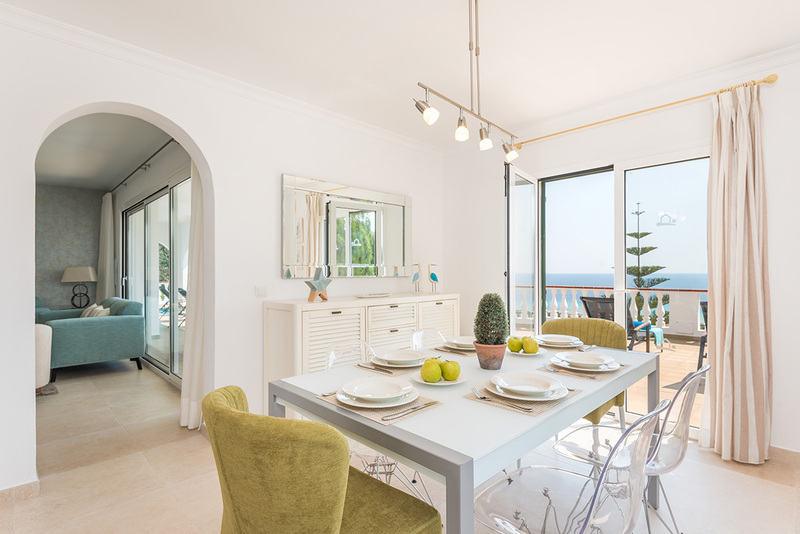 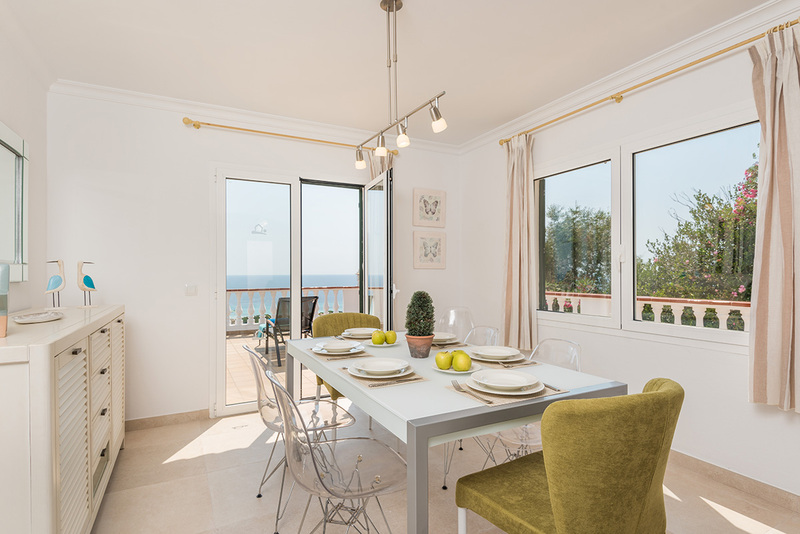 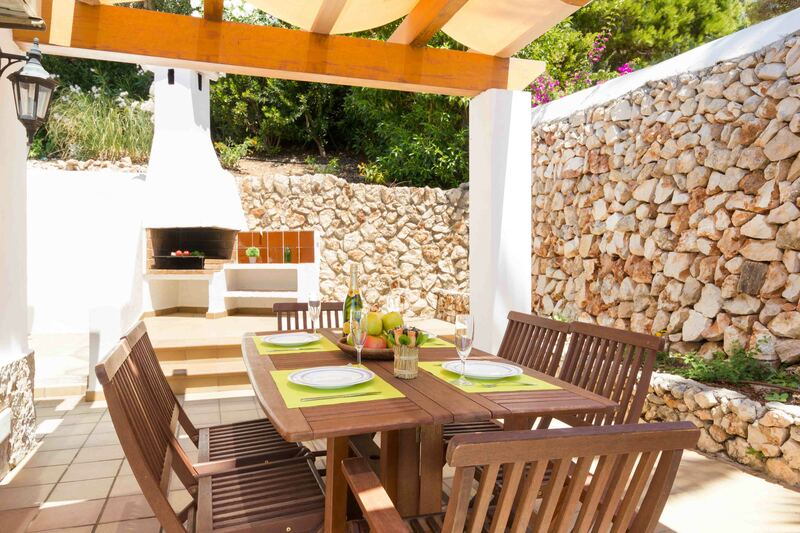 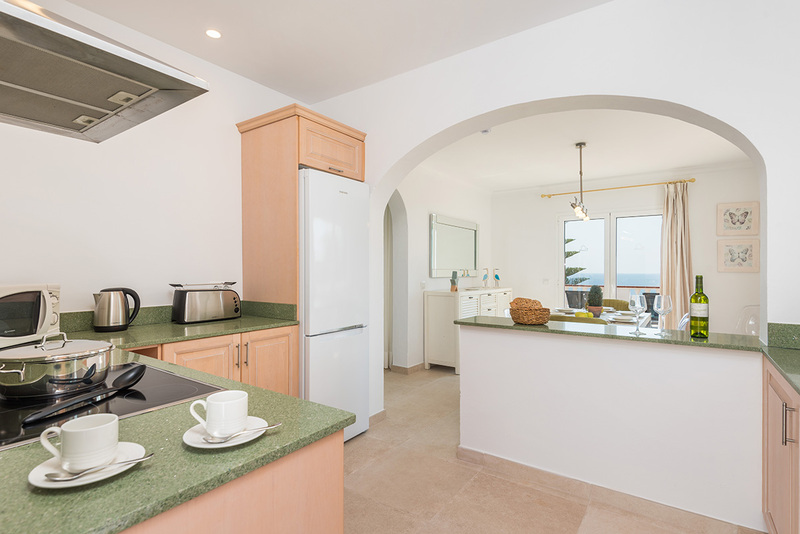 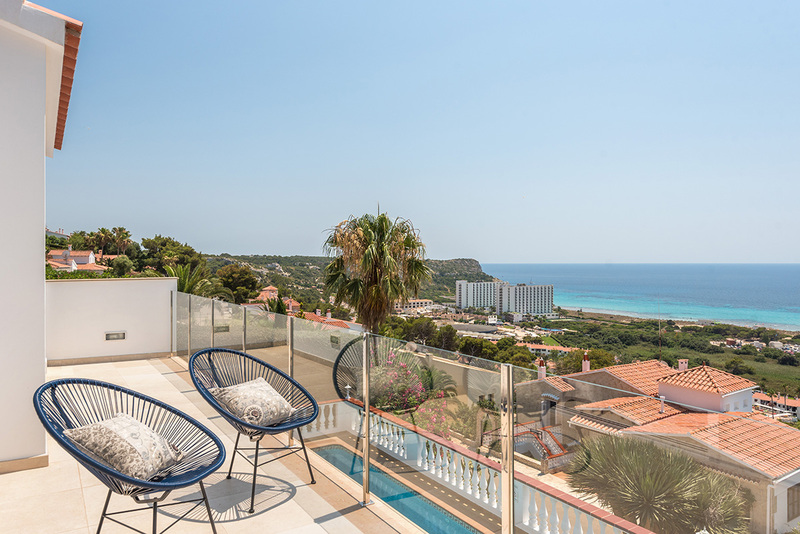 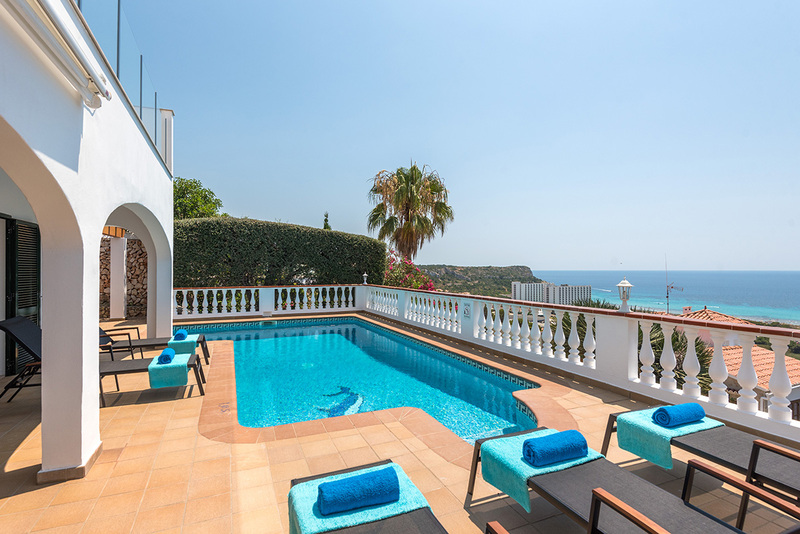 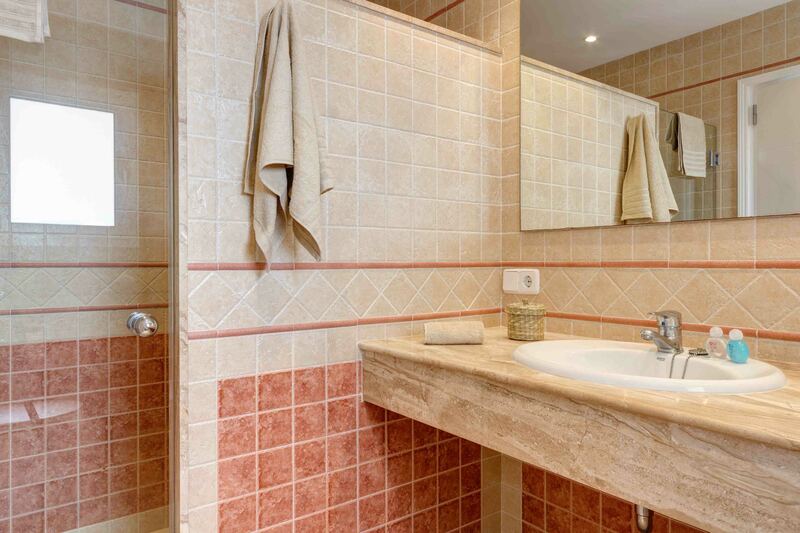 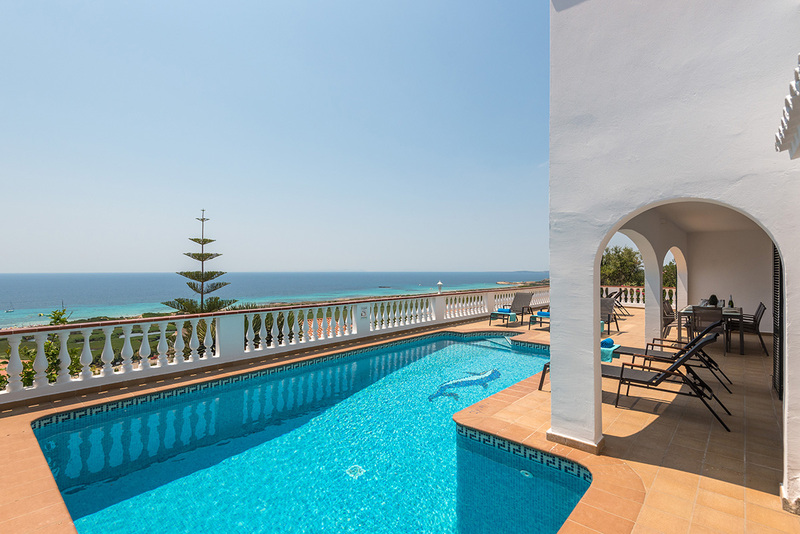 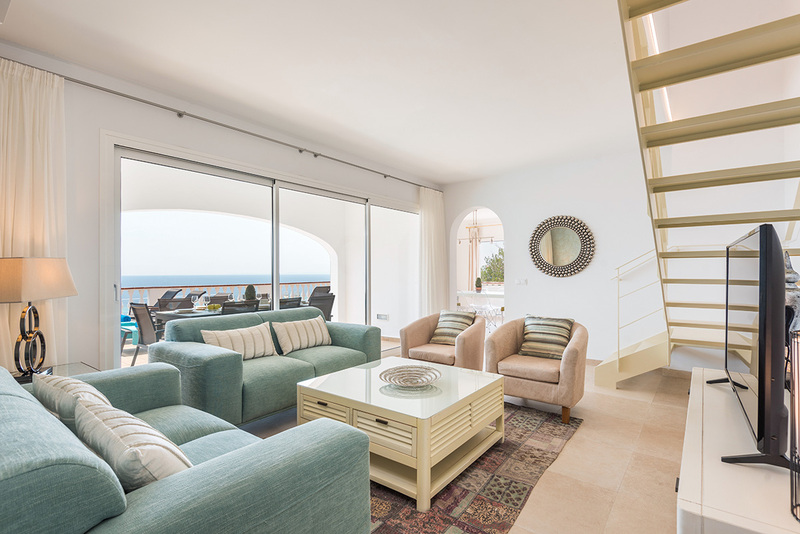 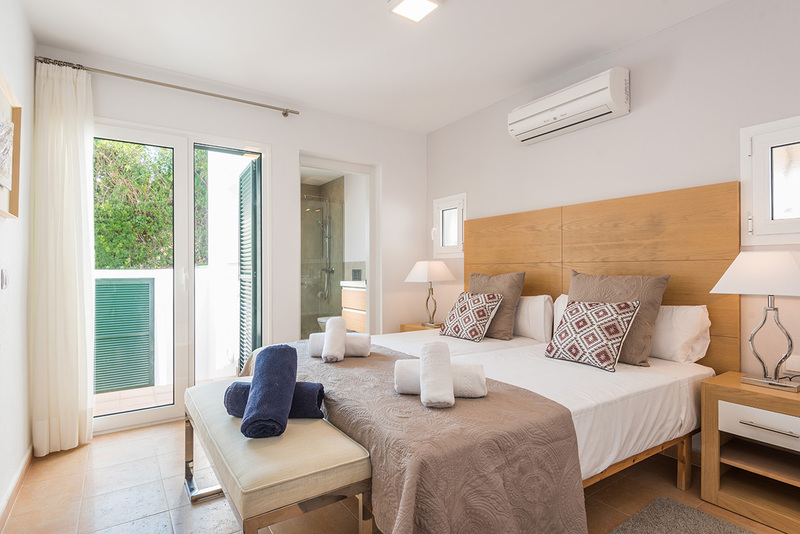 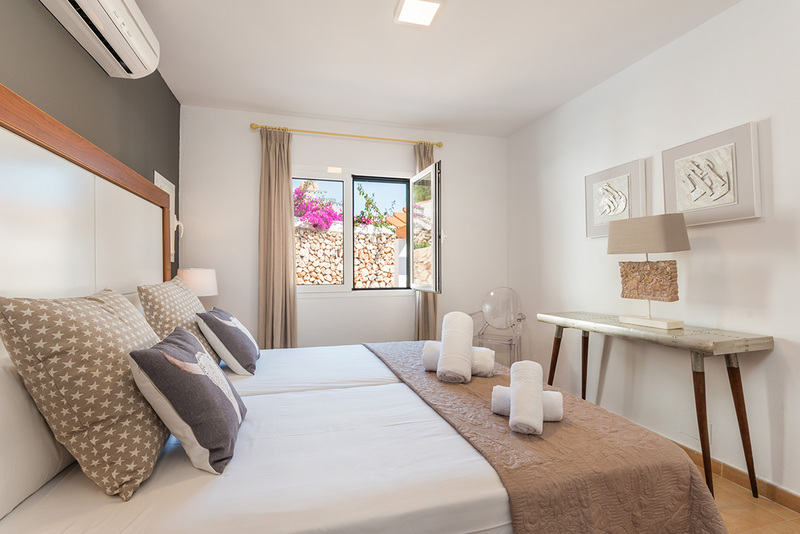 Over the winter of 2018 this property was refurbished and upgraded to premium standard with the addition of a 4th Bedroom sleeping 8 persons and is situated on the hillside overlooking San Jaime with beautiful views of Son Bou Beach which is around 1200 metres away and accessed through walkways down through San Jaime. 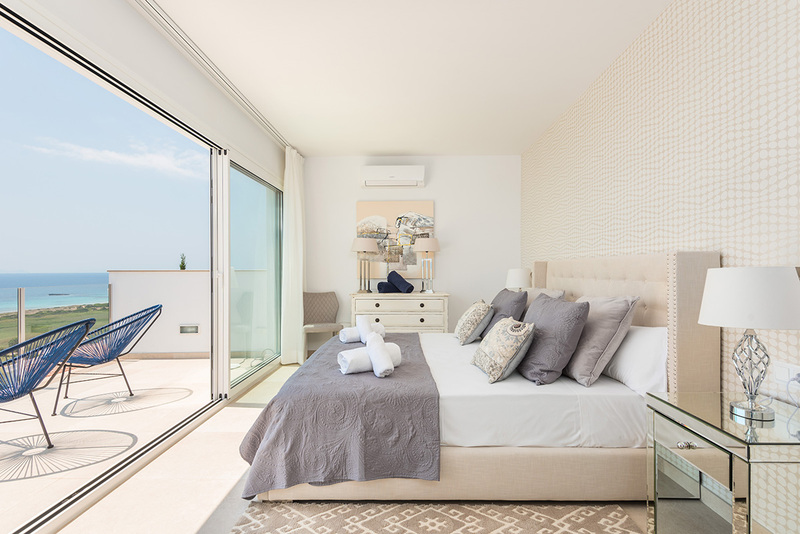 The villa is laid out over two floors. 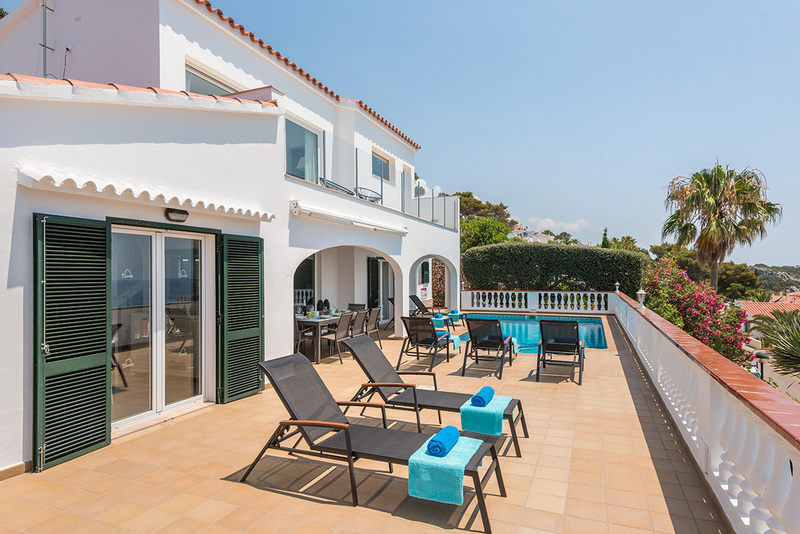 On the ground is the comfortable lounge area with TV, DVD, WiFi Internet and games console and access to the terrace with stunning views via large patio doors. 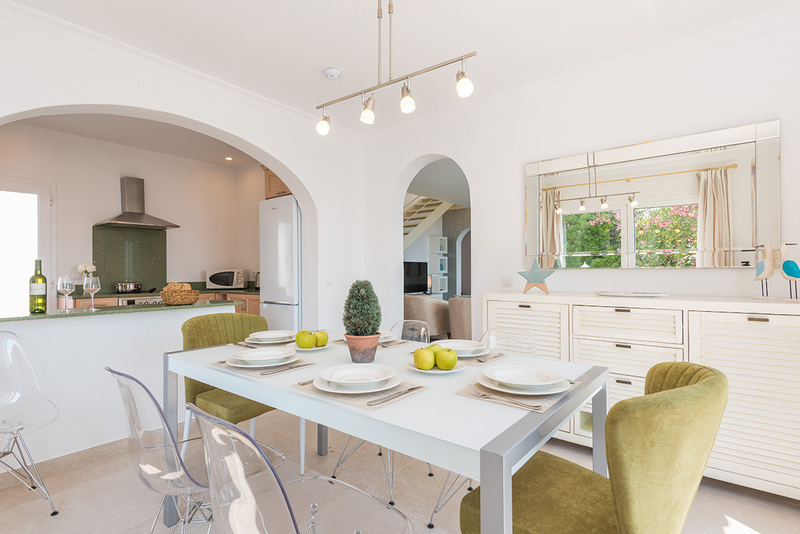 The independent dining area with an open style fully equipped kitchen is also on this level together with three double bedrooms, two with en-suite bathrooms and an additional independent bathroom. 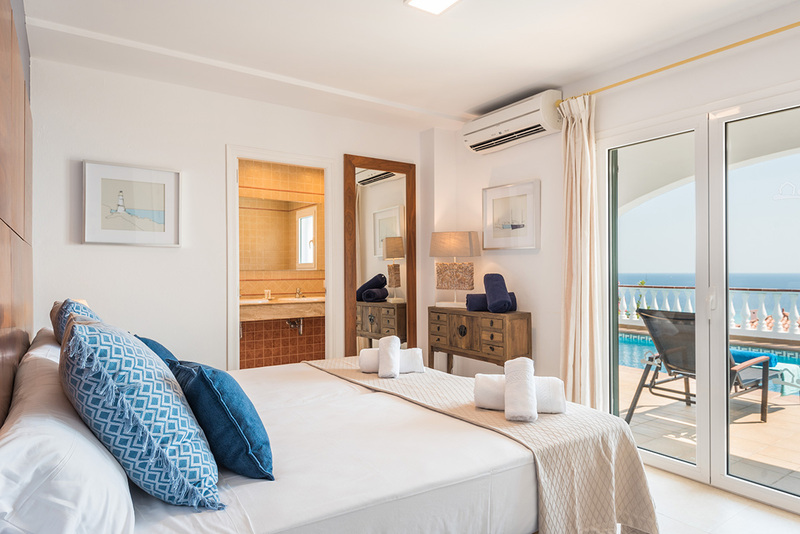 On the first floor is the magnificent master bedroom with a large double bed and en-suite bathroom and breathtaking views. 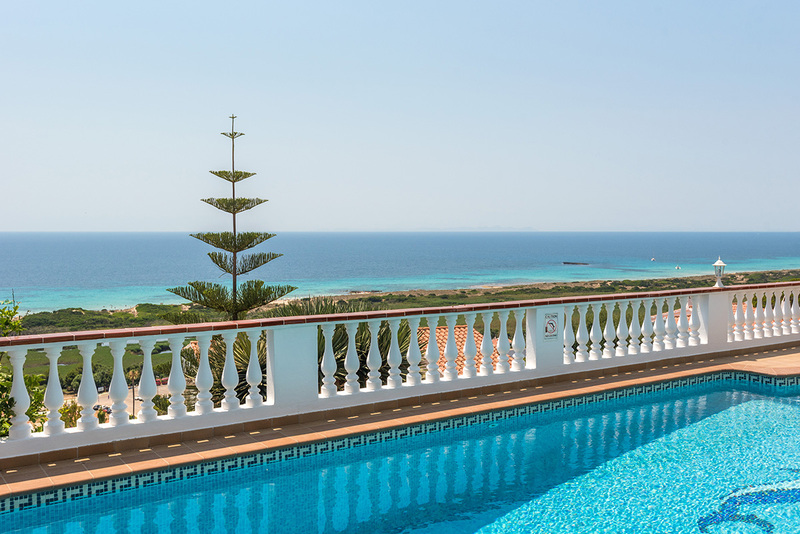 The private pool (8 x 5M) with its resident dolphin pattern mosaic has a maximum depth of two metres and a minimum depth of one metre. 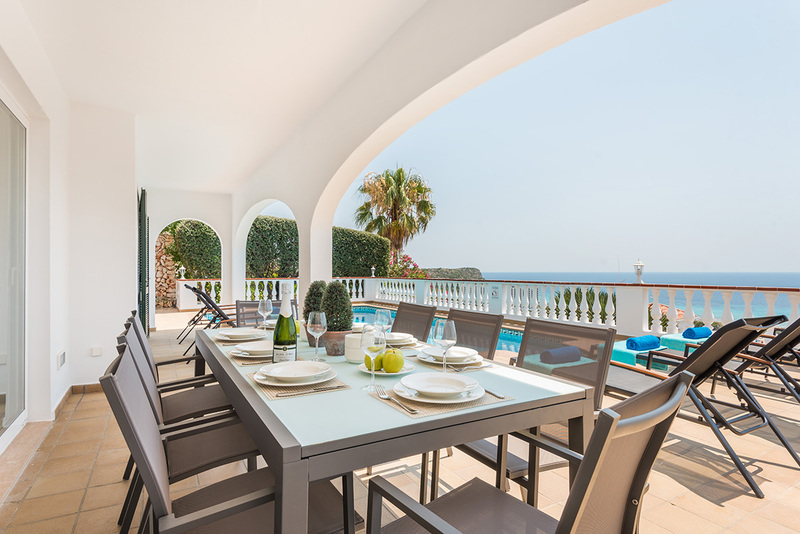 Around the front of the open/covered terrace is a spacious barbecue with the whole area enjoying the beautiful sea views and sunsets. 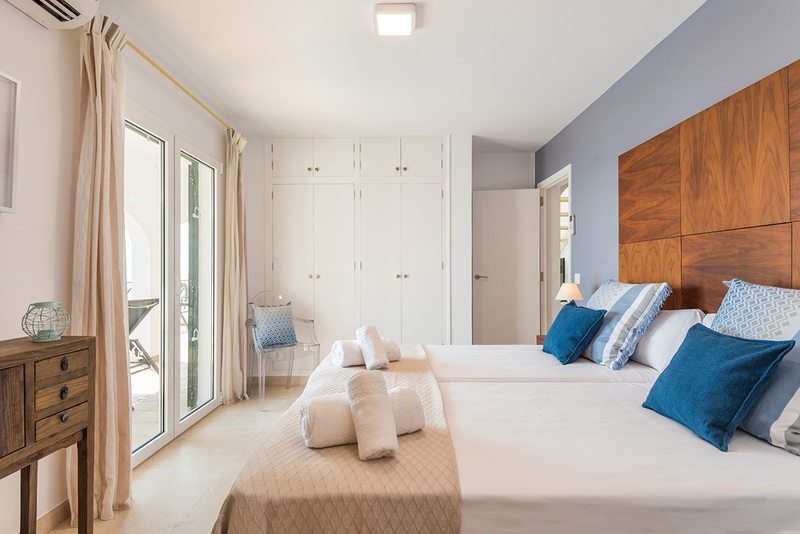 Cleaning and towel change every 2 days and bedlinen change every 4 days. 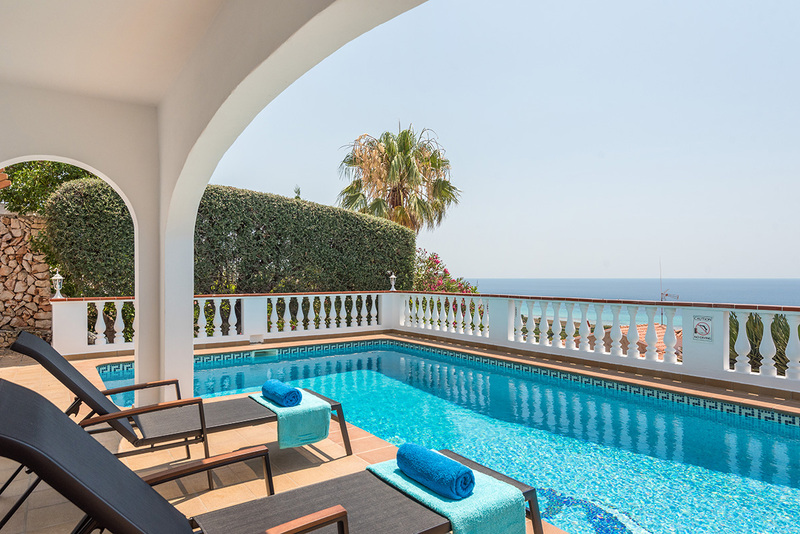 For bookings of 7 nights or more the price includes Special Welcome Pack and pool towels. 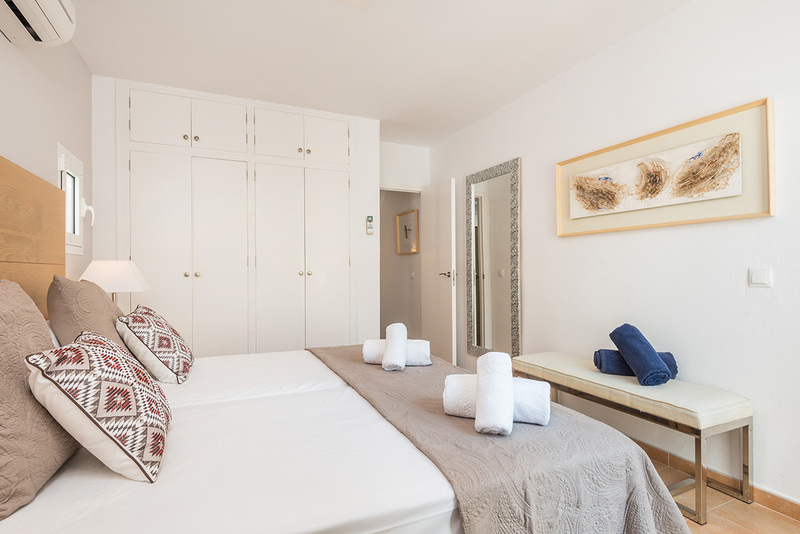 Optional Extras: Folding/Extra bed £95 per week, Cot (Including linen) Free of charge, Highchair £9 per week.